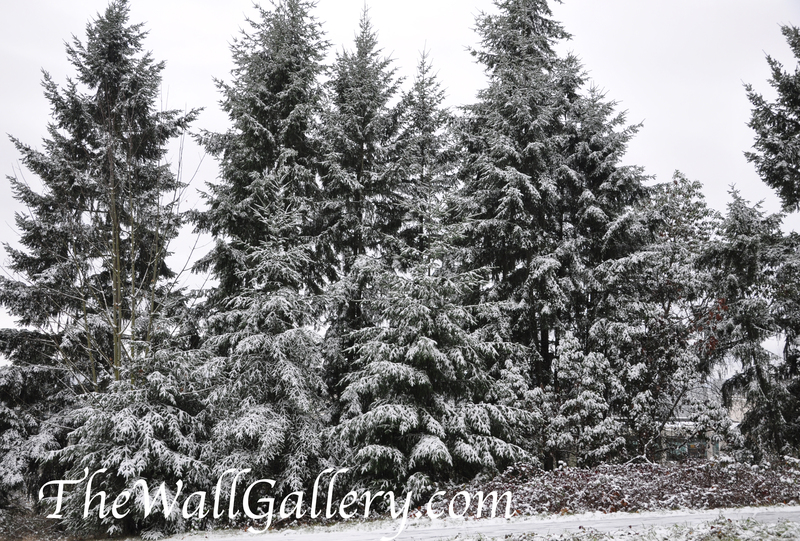 My original post showed the snow in the trees around the area where two freeways come together in the Seattle area during an early morning snowfall in December. 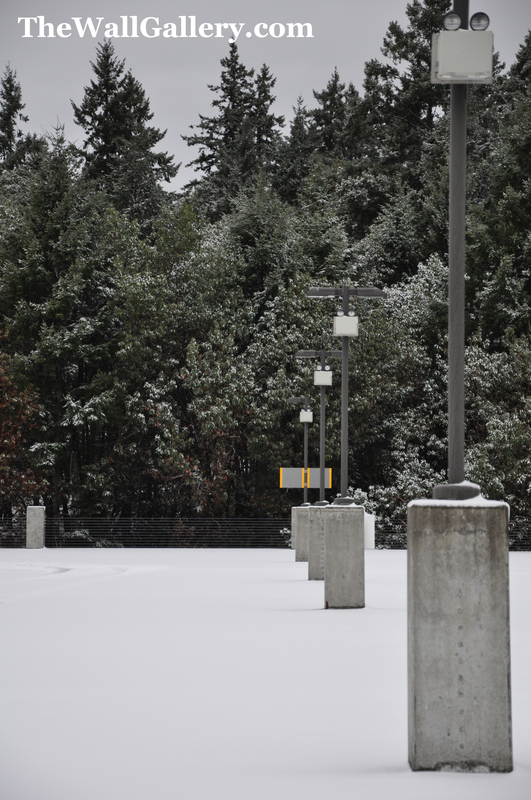 This series is around the transit center just off of those two freeways. 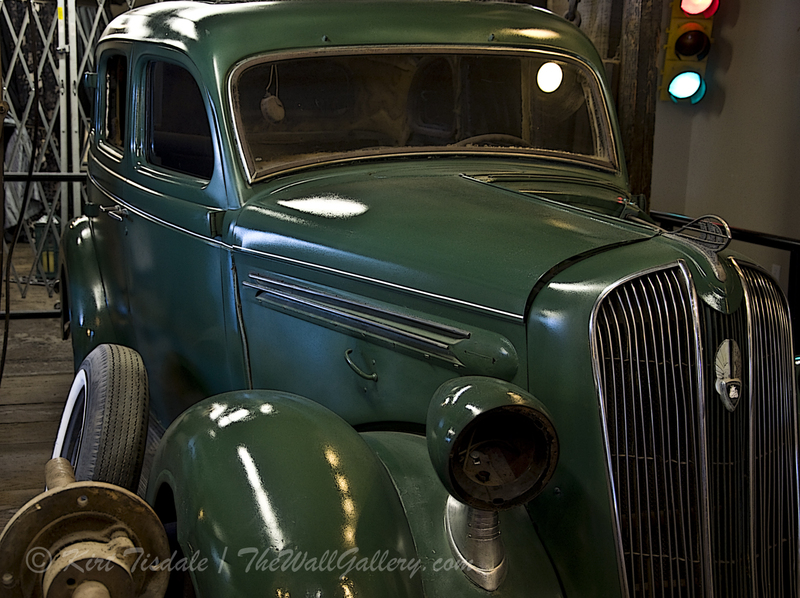 For my gallery, I’m thinking of turning the first two into B&W photos….this last one says watercolor to me….thoughts? 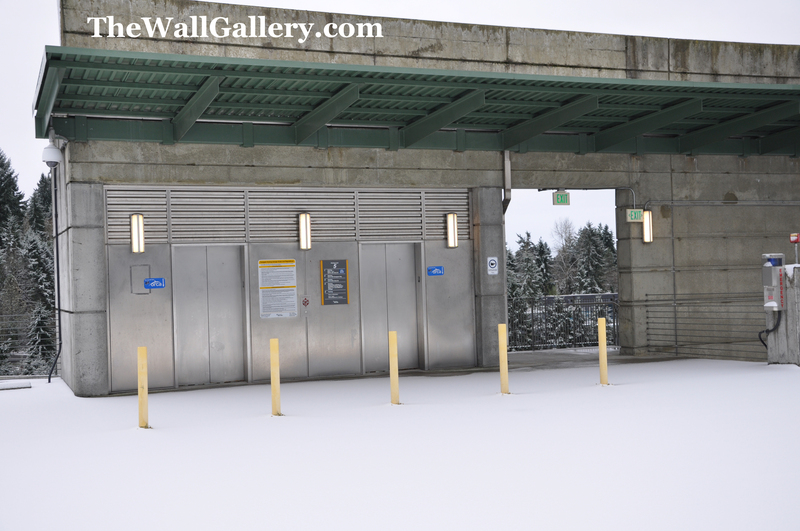 This entry was posted in Art Prints, Color Photography and tagged art gallery, art prints, color photography, commuting, kirt tisdale, online art gallery, parking, photographer, photography, seattle, snow, transit center, urban, watercolor landscapes, winter on January 31, 2014 by Kirt D Tisdale. “Morning Coffee” is from my Street Scenes/People Gallery. 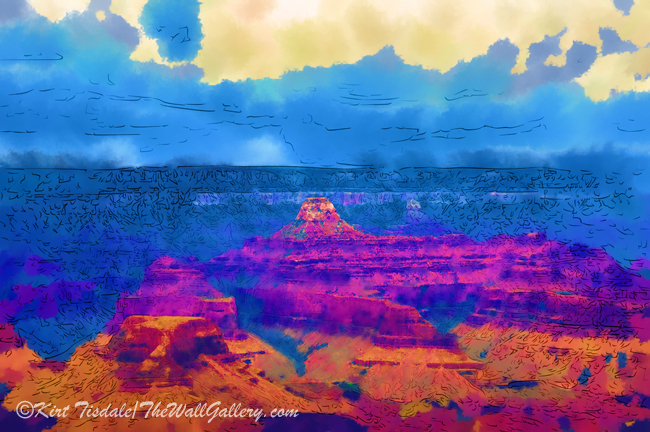 It’s one of the new art prints I added to this gallery last week. A typical outdoor coffee shop where friends gather for their morning cup and conversation. I did this particular print in a gothic oil style to create those warm earth tones and old world feel. All of the painting effects are digital and take a lot of layering and filtering to get the proper brush strokes, color hues and lighting. I start with a photograph and decide what I want to do with it. In this case I played with the gothic oil style and liked the end result. 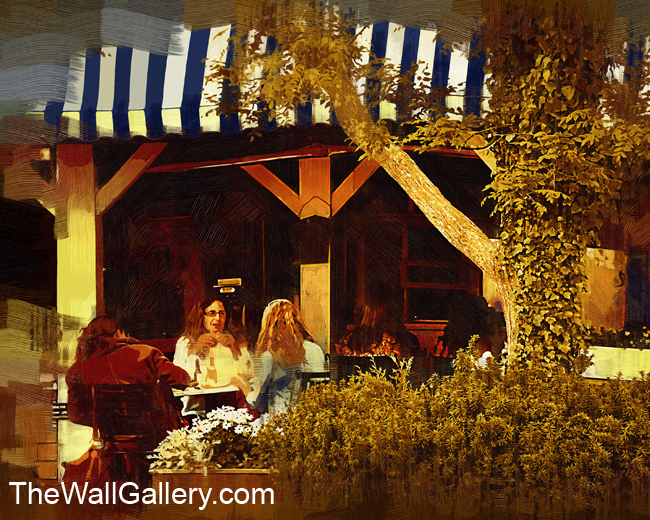 This entry was posted in Landscapes: Oil and tagged art gallery, art prints, artist kirt tisdale, friends, independent artist, landscape, online art gallery, outdoor cafe, people, photographer, photography, street scenes on January 27, 2014 by Kirt D Tisdale. Ok, there is irony in the title…the pictures look like they are deep in the woods, when in fact they are in the middle of a highly populated area of Seattle. 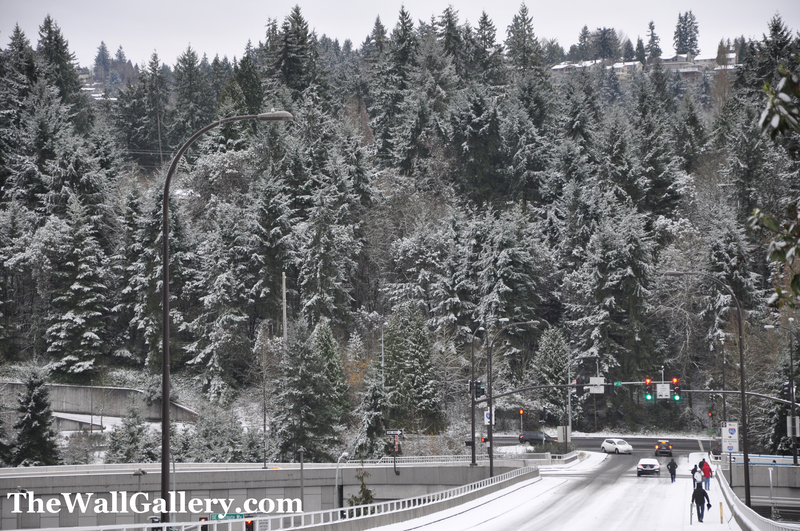 Close to the intersection of two major freeways and multiple business highrises, I capture these shots of the seasons first and sometimes only snowfall in the Seattle area. 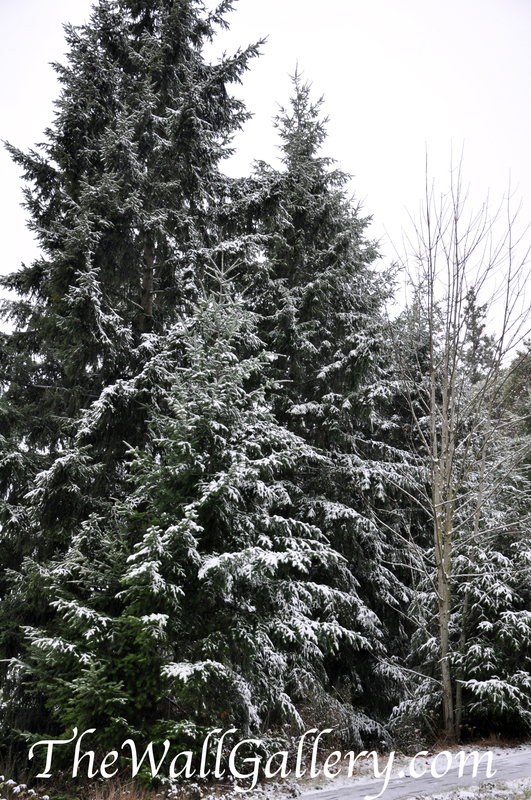 The snow occurred in the early morning hours mid December and stayed on the ground into the early afternoon. I intentionally tried to capture a deep woods look as I was nowhere near a place to hike into the woods and knew I would have a limited time to capture the snow before it melted. Enjoy!! 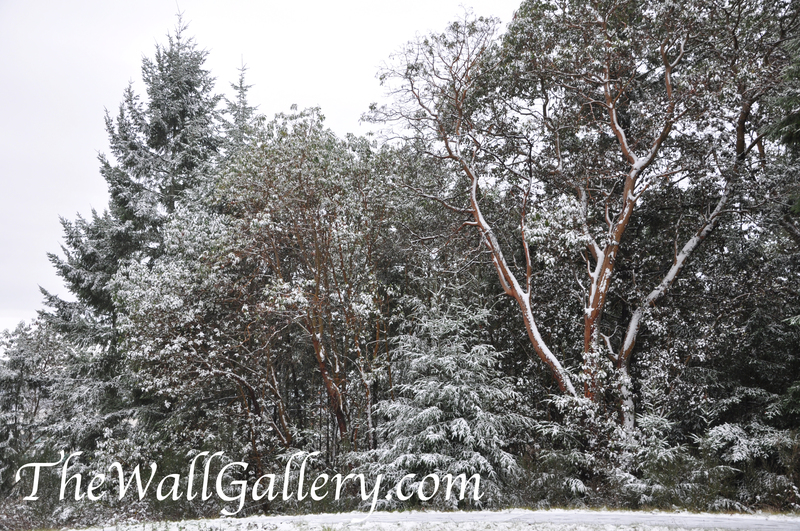 This entry was posted in Art Prints, Color Photography and tagged art, art gallery, art prints, artist kirt tisdale, color photography, landscapes, online art gallery, photographer, seattle, snow, snow covered trees, winter, woods on January 22, 2014 by Kirt D Tisdale. 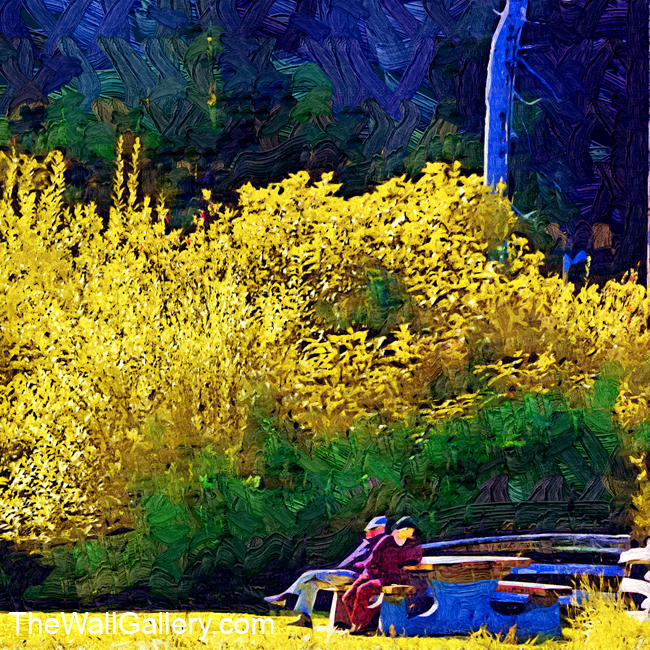 From the Street Scenes/People Gallery “Just the Two of Us” is an abstract oil art print of an elderly couple sharing a nice moment together enjoying the great outdoors. The location of this print is a park by Hidden Lake near Whistler, British Columbia. The time of year is autumn with the leaves just turning. 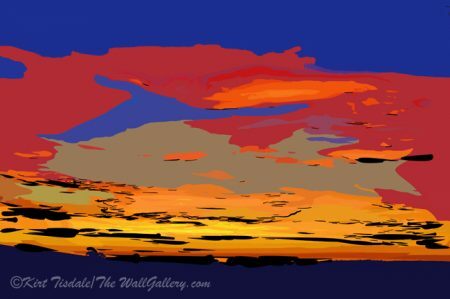 This entry was posted in Abstract Oil, Art Prints, Landscapes: Oil and tagged abstract, Abstract art, abstract art prints, art galleries, art prints, artist kirt tisdale, landscapes, oil painting, online art gallery, outdoors, people on January 18, 2014 by Kirt D Tisdale. With record temperature cold across most of the US, this photo shoot seemed appropriate. While not from the current cold snap, but an early December cold snap hitting the Seattle area, I took the next three pictures while hiking near where we lived just before sunset. The setting is a very tall rock/dirt cliff next to the trail I was hiking on. 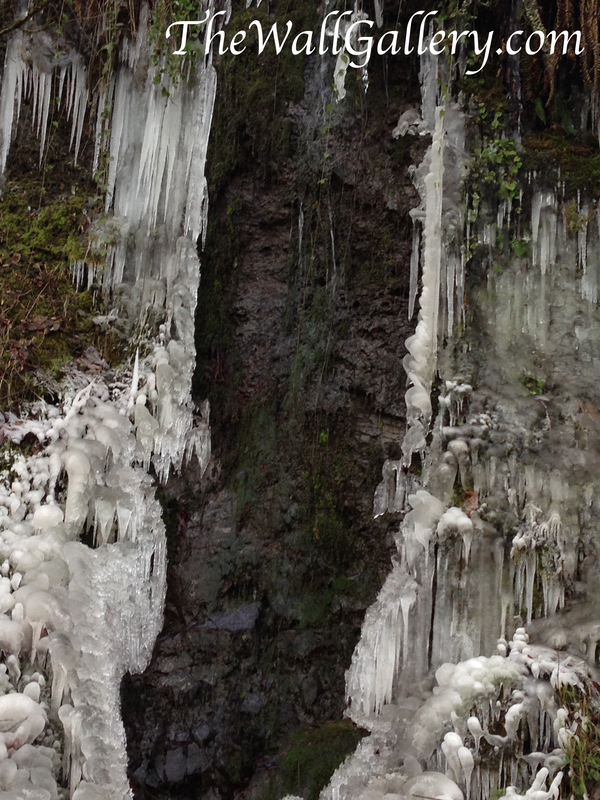 For those of you that follow my blog, it was the same hike where I captured the moss covered wall. Because of the amount of rain the Seattle area gets, the ground is always full of moisture. The waterfall in mention is ground water running down the face of the cliff. 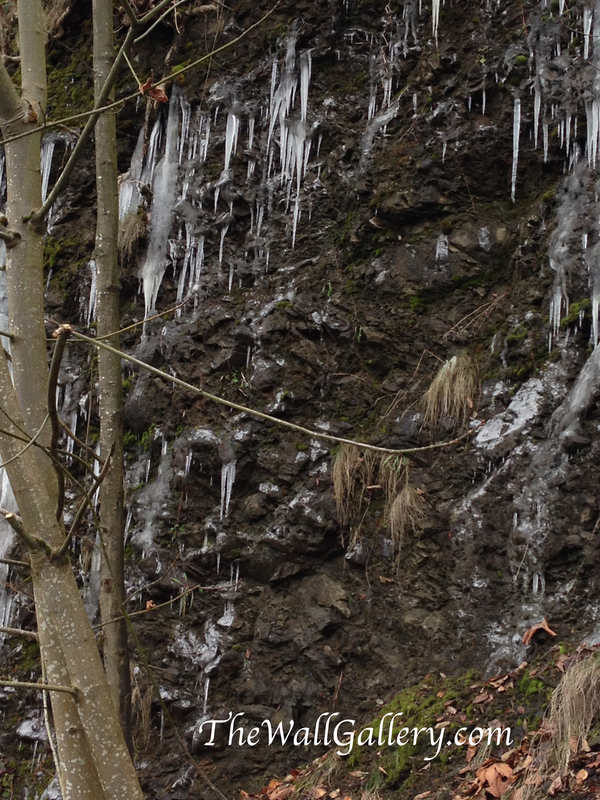 This last shot I thought was interesting in that these icicles were formed from water seeping out of the cliff wall…. Thanks for letting me share my hiking find, I hope you enjoyed the pictures. 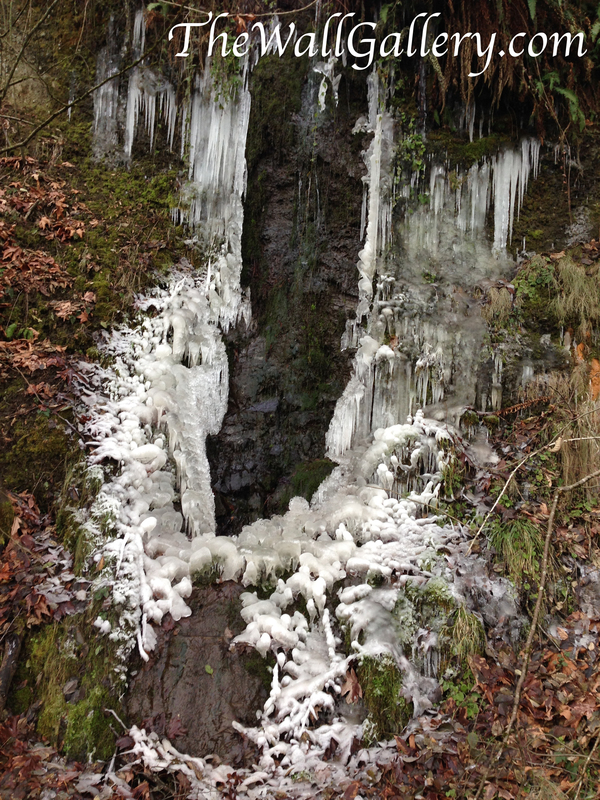 This entry was posted in Art Prints, Color Photography and tagged art galleries, art prints, artist kirt tisdale, color photography, hiking, mountains, photographer, Photographers, photography, seattle, watercolor landscapes, waterfalls, winter, woods on January 8, 2014 by Kirt D Tisdale. The art print of the week is from my Lighthouse Gallery. This print is an abstract watercolor of a lighthouse nestled in the trees. 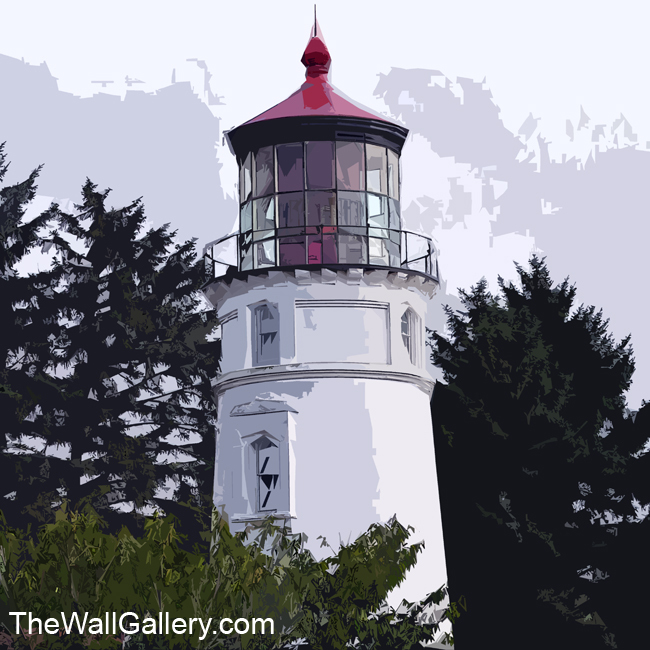 The lighthouse is one of many dotting the Oregon coastline. Typically located on bluffs above the Pacific Ocean, they stand as proud sentinels and beacons of light for the seafaring travelers. This entry was posted in Abstract Watercolors, Landscapes: Watercolor and tagged art galleries, art prints, artist kirt tisdale, lighthouse, lighthouses, online art gallery, oregon coast, photographer, watercolor art, watercolor landscapes on January 3, 2014 by Kirt D Tisdale.